Old West Leg cuffs [29-716] - $28.00 : Metalcraft by Blair - military gifts and memoribilia. These Replica leg cuffs are just like the ones used in the Civil War and the Old West Frontier to shackle convicted prisoners. 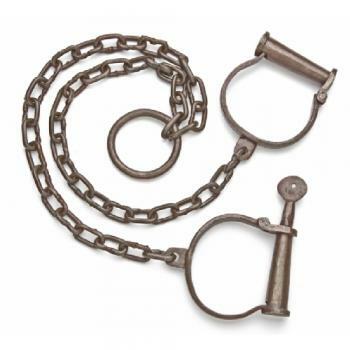 These cuffs are of metal construction and have an antique finish.